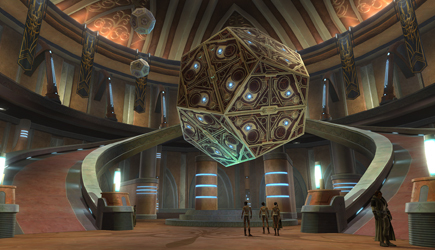 Star Wars: The Old Republic – Earn Rewards for Being in a Guild! Star Wars: The Old Republic | News Articles. 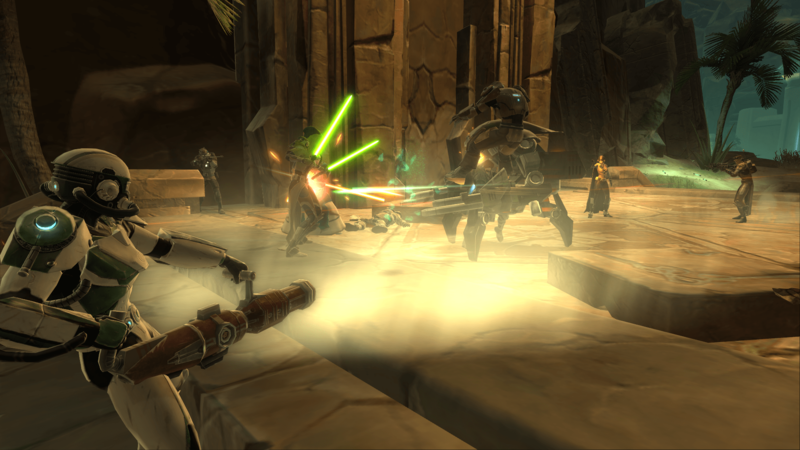 SWTOR – THE BATTLE FOR MAKEB HAS BEGUN! Alongside Early Access for Rise of the Hutt Cartel, BioWare is also releasing the hugely ambitious new Game Update 2.0: Scum and Villainy. Scum and Villainy will bring exciting new Level 55 content to our high level players including a new Operation, all new Legacy Achievements, four Hard Mode Flashpoints, and much more. Also, players can now earn an additional 5% Guild XP Bonus for all experience gained while playing in a guild. Players can expect more valuable in-game bonuses and benefits for being in a guild coming later this year. Check out the new “Scum and Villainy” launch trailer for Game Update 2.0 here and if you haven’t pre-ordered Rise of the Hutt Cartel yet, there is still time to pre-order and receive exclusive items. To pre-order Rise of the Hutt Cartel, please visit www.StarWarsTheOldRepublic.com/RiseoftheHuttCartel.or find us on Facebook, Twitter, and YouTube! Get your first look at the brand new planet Makeb featured in Rise of the Hutt Cartel and pre-order the Digital Expansion now to receive exclusive in-game rewards! Star Wars: The Old Republic – Game Update 1.6: Ancient Hypergate screenshots ! Star Wars: The Old Republic Update 1.6 Now Live ! Update 1.6, Ancient Hypergate, is now available to download for all Star Wars: The Old Republic players. SWTOR: Game Update 1.6: Ancient Hypergate – PTS Patch Notes ! Lowered the requirements needed to gain the Offense and Defense Bronze medals. Players now receive each medal the first time they receive associated objective points, regardless of the value. 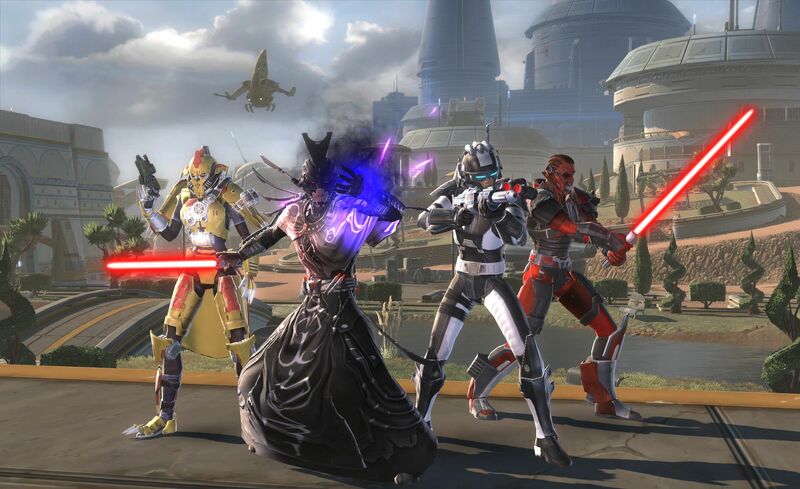 STAR WARS: THE OLD REPUBLIC LAUNCHES FREE-TO-PLAY OPTION TODAY ! Did you really care ? Today we are excited to announce that the global launch date of the Star Wars™: The Old Republic™ Free-to-Play option will be November 15, 2012. This release will be simultaneous across all of the territories and countries where The Old Republic™ is available. The new Free-to-Play option allows gamers to experience all of the class storylines through to Level 50, the current level cap, at no charge and introduces the new Cartel Market! Any paying subscribers at the launch of the Free-to-Play option on November 15th will be granted all of the Complimentary Cartel Coins currently listed on the Cartel Coin Ledger page, plus a one-time grant of 250 Complimentary Cartel Coins! Additionally, the Rewards Program has been extended! All former subscribers who reactivate their subscription by the new date of December 20, 2012 at 11:59am CDT will be granted Complimentary Cartel Coins for their prior paid months up to November 15, 2012. For more information on all of the rewards you could potentially receive and the Free-to-Play option visit www.StarWarsTheOldRepublic.com/FREE. 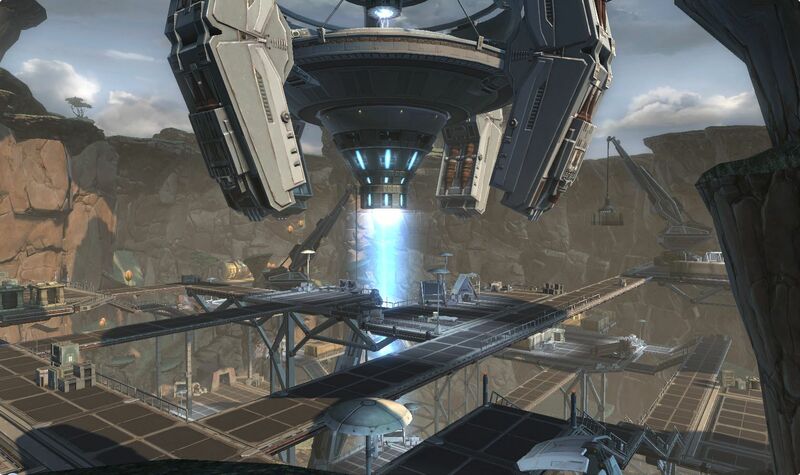 As always, be sure to check StarWarsTheOldRepublic.com for latest updates and follow us on Twitter, Facebook, and YouTube. During the Star Wars: The Old Republic companion panel at this year’s San Diego Comic-Con, BioWare showed a new trailer for the upcoming HK-51 companion. Hi everyone,We want to thank all players that have participated in our Free Character Transfer Service. 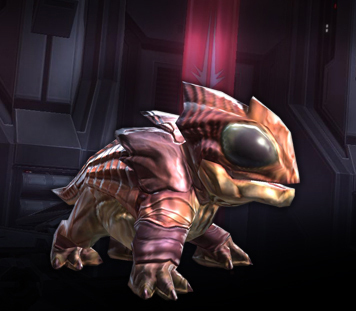 With strong destination server populations, we hope that you’re enjoying the improved gameplay experience and are excited about receiving the Gannifari mini-pet and the 25 Black Hole commendations that we announced as part of the Free Character Transfer Reward Program. Later this summer, we’re taking steps to further strengthen destination server population. Ultimately, we are working to transition all players to designated destination servers in the Free Character Transfer Service. To continue to enhance the overall gameplay experience for current and new players, we have eliminated the option to create new characters on selected origin servers. Visit www.swtor.com/transfer to see a list of all the selected origin servers that will be affected. Later this summer, any remaining characters on selected origin servers will be automatically moved to designated destination servers. We will provide additional details regarding the automatic character transfer process at that time. Character Transfer, Server Populations, and You Part II | Star Wars: The Old Republic. 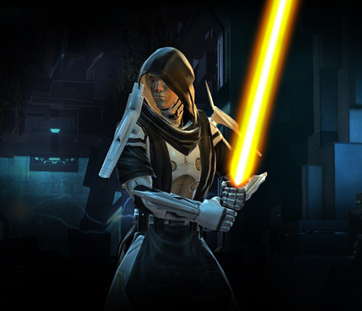 Star Wars: The Old Republic – Earn Rewards for Free Character Transfers! The response to the Free Character Transfer Service so far has been fantastic. Hundreds of thousands of players have already taken advantage of this free service to move their characters to new servers where it’s easier to find groups and play with friends. This initial service is still available and allows qualifying characters to be transferred at no charge from selected origin servers to selected destination servers. In appreciation for the community’s support of the Free Character Transfer service, we are giving all characters on qualifying servers (including all destination servers) an in-game pet, the Gannifari, and 25 Black Hole Commendations to help purchase high level gear. 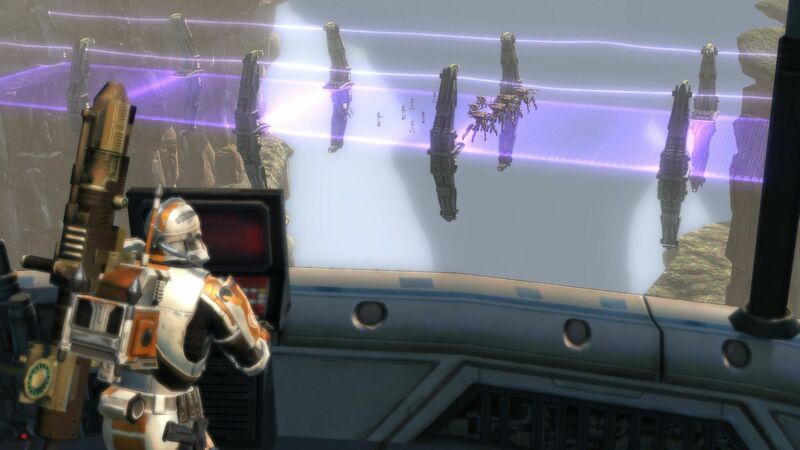 Visit www.swtor.com/transfer for a list of qualifying servers. If you haven’t moved your characters yet, it’s not too late. Transfer now to receive these in-game rewards! Intimidate enemies equipped in high level gear purchased with these commendations! Your character(s) must be on a qualifying server (which includes destination servers) and your account must be active by July 30, 2012 at 11:59 PM CDT / July 31, 2012 at 4:59AM GMT. If you do not have a character on a qualifying server by July 30, 2012 at 11:59 PM CDT / July 31, 2012 at 4:59AM GMT, then you will not receive any rewards. The rewards will be sent via in-game mail by August 7, 2012 at 11:59PM CDT / August 8, 2012 at 4:59AM GMT. To start the character transfer process, login to your account, click My Account and then click ‘Character Transfer’ in the left hand menu. From there you will be able to select “Start a Character Transfer” to see if you have any characters eligible for transfer to pre-selected serves. 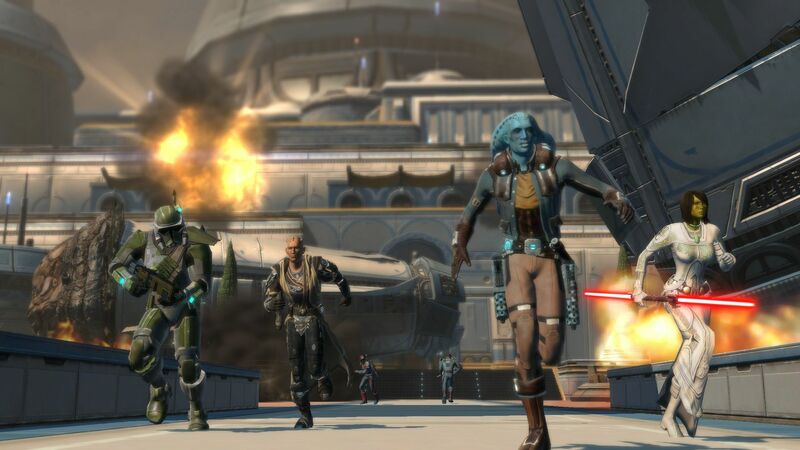 For more information on this program, please visit our Character Transfer FAQ and be sure to look at all the eligible origin, destination and reward qualifying servers at www.swtor.com/transfer. You can also keep up to date on the latest news and updates about Star Wars™: The Old Republic™ by visiting www.StarWarsTheOldRepublic.com as well as joining us on Twitter and Facebook. 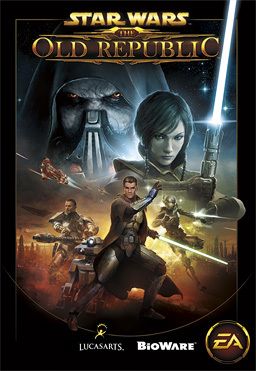 *FOR ACTIVE SUBSCRIBERS OF STAR WARS™: THE OLD REPUBLIC™ (“SWTOR”) AS OF JULY 30, 2012 AT 11:59PM CDT / JULY 31, 2012 AT 4:59AM GMT. OFFER MAY NOT BE SUBSTITUTED, EXCHANGED, SOLD OR REDEEMED FOR CASH OR OTHER GOODS OR SERVICES. VALID FOR ALL ELIGIBLE ACTIVE SWTOR ACCOUNTS. MAY NOT BE COMBINED WITH ANY OTHER OFFER, GIFT CARD, REBATE OR DISCOUNT COUPON. VOID WHERE PROHIBITED, TAXED OR RESTRICTED BY LAW. VIRTUAL ITEMS ONLY. LIMIT ONE OFFER PER CHARACTER. ITEMS WILL BE APPLIED IN-GAME TO THE USER’S CHARACTER. Star Wars: The Old Republic 1.3.1 patch notes ! The Group Finder no longer displays multiple “Travel Now” dialogs when the group searches for a replacement while a player has the “Travel Now” dialog open already. The Group Finder button is no longer visible when a player logs out of a higher-level character and back in to a character that is lower than level 10 (and therefore unable to use the Group Finder). A confirmation dialog now informs players that they will need to start the content over again if they leave the “Find Replacement” queue. Athiss, Mandalorian Raiders, The Red Reaper, Colicoid War Game, Cademimu, and Hammer Station can now be queued for even if the player already has the associated mission. A tooltip on the Warzone “Join Queue” button now informs players that they cannot queue for a Warzone while engaged in Group Finder content. Adaptive items now correctly display “Adaptive” in their tooltips. Implemented optimizations that improve performance in the Black Hole area on Corellia for many players. . The “healer” icon is no longer incorrectly displayed on Operation frames for groups that were not assembled by the Group Finder. Text that was missing from character creation for Twi’lek Imperial Agents in the French and German clients has been added. .
You all know I will speak my mind about MMO’s if you like it or not ! I have to tip my hat to #bioware for making #SWTOR 1.3 patch very good and useful. It is a well needed update. I will list a few things that make this update the best one yet. 1) GROUP FINDER – It works great ! 2) Weekly Priority Targets Quest – Gets you to explore the planets. There is much more , but this is what I like best so far. STAR WARS: THE OLD REPUBLIC GAME UPDATE 1.3: ALLIES – AVAILABLE TODAY! BioWare and LucasArts announced today that the latest free game update for the award-winning MMO, Star Wars™: The Old Republic™, Game Update 1.3 – Allies, is available now. Allies delivers many of the game features the community has been asking for, including Group Finder, Ranked PvP Warzones, Adaptive Gear, new enhancements to the Legacy system and more. · Group Finder – will make it much easier for players to join up with others in the game. This feature allows you to connect with other players who want to tackle the same Flashpoint or Operation that you do while also ensuring the group is filled out with combat disciplines that complement each other. Together you’ll be better prepared to take on the more advanced challenges in the game. · Ranked Warzones – make PvP more challenging and more rewarding. You can now create a group, compete in ranked warzones, and then track your personal performance and measure your skills against other players. · Legacy Character Perks – perks give you the opportunity to customize the leveling experience for your Legacy characters. You can focus on the parts of the game you like best, whether that’s space combat, PvP,or Group Missions and Flashpoints, you can choose which activities earn the most experience. The perks give you other bonus opportunities as well, like piloting a vehicle at level 10, earning bonus affection with companions, and even being able to reallocate your skill points in the field. · Adaptive Gear – allows you to wear your favorite social gear into combat while still enjoying the bonuses you receive from your best combat gear. We’ll almost certainly be seeing more eccentric-looking groups tackling high-level operations, but that’s part of the fun. I talk about all the changes in this update ! Hi, I’m Gabe Amatangelo, Principal Lead PvP Designer, and I’m excited to tell you guys that Pre-Season One of Team Ranked Warzones is back on the Public Test Server! 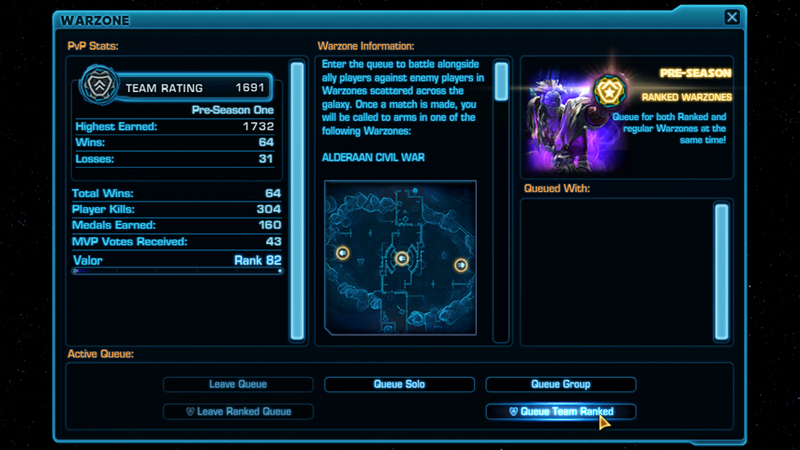 In the current Game Update 1.3 PTS build, you’ll find a new button in the Warzone queue window: Queue Team Ranked. This button is available to any player that is in a group of eight level 50 players, and allows that group to queue up for Team Ranked Warzones with a single click. 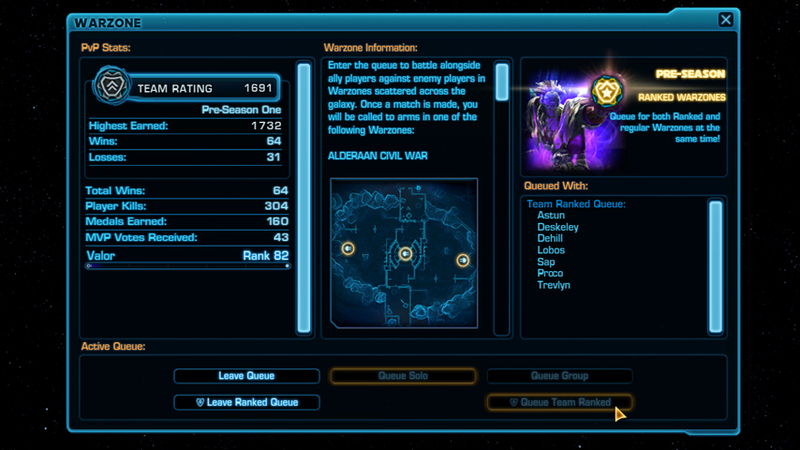 Team Ranked Warzones can only be participated in by a full team of eight players. If any player drops out of the queue before a match is made, the team will need to find a replacement and re-queue. We are also introducing a concept to Star Wars™: The Old Republic™ called ‘dual queuing’. With dual queuing, players will be able to queue for a normal Warzone, either by themselves or with a different group, while remaining queued for a Team Ranked Warzone with that group. Queuing for a normal Warzone while waiting for a Team Ranked Warzone will not affect your position in the Ranked Warzone queue, and spots will be reserved in a Ranked Warzone match for players who are queued, but currently in a normal Warzone. Players who are in a Ranked Warzone match will not receive further invites for normal Warzones until they either play through the Ranked match, or leave the queue. Also introduced in this build is Warzone group persistence. In other words, when you queue up as a group of up to four for normal Warzones or as a full team group of eight for Ranked Warzones, you will remain in that group at the conclusion of the match. We completely agree with you that this feature was needed for Warzones and is especially required for the Ranked Warzones feature when dealing with a full team group of eight players. We are excited to see the tech in place for it in Game Update 1.3. Ranked Warzones will award Ranked Warzone Commendations instead of regular Warzone Commendations at the conclusion of matches. Additionally, every player will have a ‘Team Rating’ that can be seen on the Warzone queue window, character page, and on the ‘Who’ list by all other players if it is a high rating. Ranked Warzone Commendations are still used to purchase the best PvP gear and Ratings remain requirements for gear and vehicles with unique appearances. A player’s Team Rating is not tied to a specific combination of players, but to the individual player, and is a measure of that player’s success when participating in full team queued Ranked Warzones. So you can queue up with an entirely different full team of eight players every match if you want to. Ratings are adjusted when a player wins a match, loses a match, leaves a match early, or declines a match invite. Various elements factor in to the adjustment, including your team’s predicted chance to win the match, the ratings of players on your team, the enemy team, etc. In short, if the only match available is between skilled PvP players and unskilled PvP players and the unskilled players lose, their rating would not go down much, if at all. Before Season One begins with official rankings, we intend to rank and post the players and guilds with top Pre-Season ratings. Season One will begin with completely new ratings. Additionally, we do intend to have a Solo Queue Ranked Warzone option in the future. Team Ranked Warzones in Game Update 1.3 | Star Wars: The Old Republic. Spy Guy says: Excellent points all around. Both SWTOR and Guild Wars 2 built up a massive hype train before launch, and it’s clear that SWTOR’s derailed not long after release. Does ArenaNet have what it takes to stay on track? 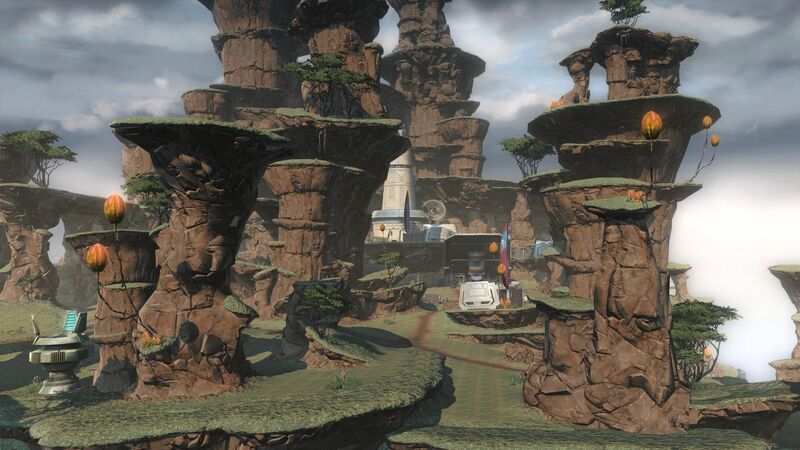 via GameSpy: Five Reasons Why Guild Wars 2 Will be Better Than Star Wars: The Old Republic – Page 1.